Aside from the MSc, the Postgraduate Diploma in HRM, and the Certificate in HRM, we now are happy to announce that a further three courses have been approved by the Chartered Institute of Personnel and Development (CIPD). The CIPD is a professional membership body for HR, Learning and Development practitioners and People Management professionals. The CIPD is an industry-recognised leader in delivering best in practice HR advice to organisations of all different sizes, and in all sectors, and they work very closely with higher education providers to ensure that graduates are entering the job market with the correct skills and a solid foundation to make a positive impact in the HR industry. Students now have an opportunity to choose a HRM pathway on three undergraduate courses here at London South Bank University. These three courses are; Marketing with Human Resources BA (Hons); Business Management with Human Resources BA (Hons); and Economics with Human Resources BSc (Hons). As a result of this accreditation, upon successful completion of the course (with HRM pathway) students are eligible for Associate membership of the CIPD (membership fee applies). Successful candidates also achieve an Intermediate Certificate Level 5 in HRM which, together with the Associate membership of the CIPD, is considered highly valuable, and carries significant weight in the career prospects of those wishing to enter HR management, Learning & Development, or other management and business roles. This recognition by the CIPD follows the recent news that our accounting and finance courses have received ten exemptions by CIMA, meaning students only need to complete six exams to qualify as a chartered management accountant. "I am delighted with these recent professional body approvals and accreditations because they recognise the hard work and dedication of the staff at LSBU, the quality of our teaching, and most importantly because they provide our students with the opportunity to enter the labour market with career-enhancing professional body memberships." 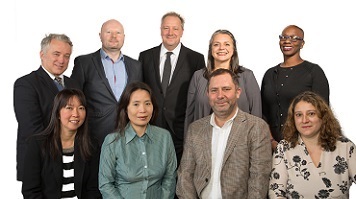 These recent achievements demonstrate a continued focus from the senior management team and academics here at LSBU to ensure that our courses are ‘fit for purpose’ for the 21st century, and closely align with the learning, and career needs of those wishing to enter these professions. Along with the flexibility and student-focused nature of our courses, the School of Business have over 20 badged higher education achievement report activities which range from coaching and mentoring to business consultancy experience, which help to ensure that our graduates are more fully prepared to enter the world of work.